More often than most automakers would care to admit, that new car that you see debuted at a major auto show will undergo some minor -- and sometimes major -- alterations before it hits the dealer forecourt. 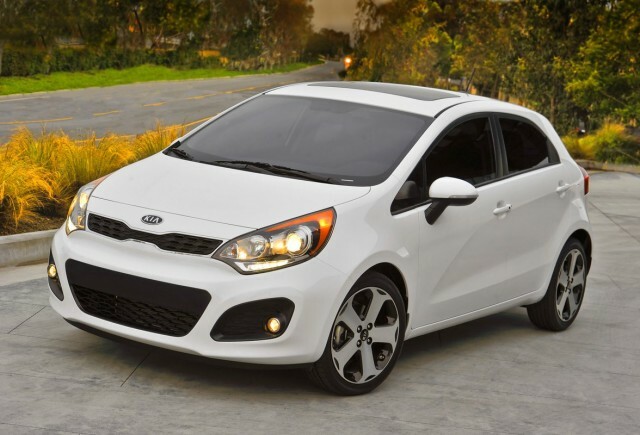 Take the 2012 Kia Rio, for example. Officially launched at the 2011 New York Auto Show, Kia had promised its redesigned compact, available as a hatchback or sedan, would come with optional Start-Stop technology, which it calls Idle Stop & Go (ISG). 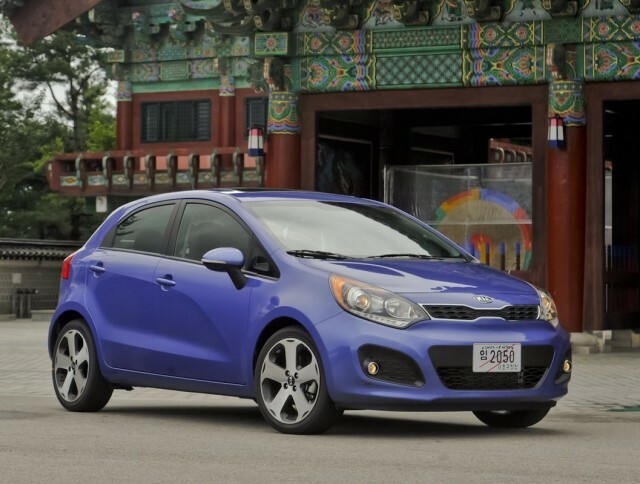 Sadly, between the show floor and the dealer lot, the feature was dropped for 2012 Kia Rios, but now the South Korean automaker has announced its plans to bring the fuel-saving technology to its 2013 Kia Rio lineup. Stop-start technology works by automatically shutting down the engine when the car is stationary. When the driver lifts his or her foot off the brake pedal, the engine quickly and automatically restarts, ready to provide full engine power when required. Because stop-start technology cuts down on the amount of time the engine is idling, it can improve fuel economy by a few mpg in city traffic. According to our sister site The Car Connection, Kia’s delay in offering the technology was driven in part by a desire to make the system smoother for U.S. customers. But the cost of adding ISG to a 2013 Kia Rio won’t be cheap: in order to spec a Rio with ISG, customers will have to shell out $1,150 for the Convenience Package, as well as an additional $400 for the Eco Package with ISG included. Admittedly, that extra $1,650 will get you a whole host of extras, including reversing camera, alloy wheels and the UVO connectivity system, but it’s a hefty premium for a few extra miles per gallon. Worse still, at $18,800, the 2013 Kia Rio with ISG fitted is a only $150 cheaper than the base-level 2012 Prius C One. Admittedly, the base-level Prius comes with much less in the way of gadgets and toys than the Rio, but can manage an impressive 50 mpg combined, 10mpg more than the Kia is capable of.